I just tried to export to PDF for the first time. 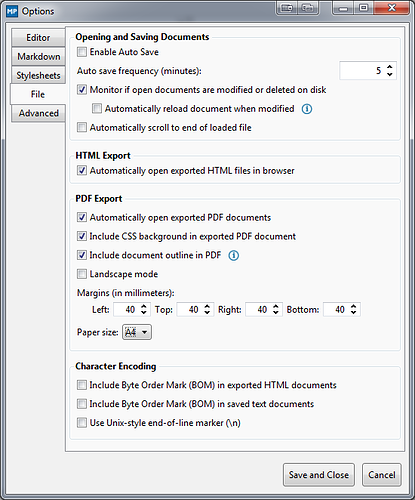 I've tried messing with various options (including page size) and every time the document only takes up half the width of the page in the pdf file and nothing else seems to change. Below is an example. I'm guessing I'm missing some obvious feature, as I'm fairly new to markdown. Hopefully someone can point it out to me. I'm using Markdownpad v 2.5.0.27920 on Windows 8 and Adobe Acrobat X Pro. I've not had any problems with this, but maybe it will help if you could share the Markdown that you are generating the PDF from, and which Markdown processor you have configured.